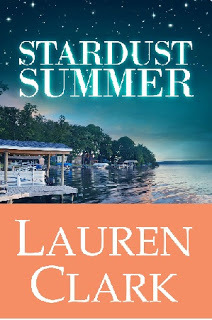 I’m currently reading Stardust Summer by Lauren Clark. As I expected, this talented author is knocking it out of the ballpark once again with loveable characters, a fast-moving plot, and a sweet little love story. I’m especially enjoying the East Coast setting. It’ makes me long for the days when I spent my summers swimming in Lake Jessop at Camp Marston in the mountains of Southern California. Stay tuned for the review! 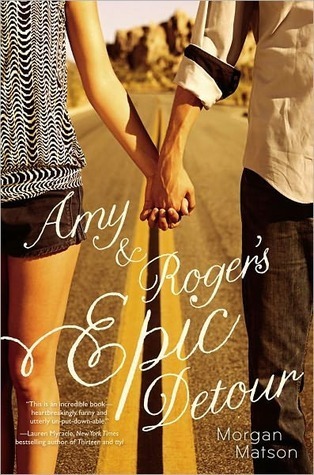 I just finished reading Amy and Roger’s Epic Detour by Morgan Matson and absolutely LOVED it!!! This book epitomizes the awesomeness of road trips. It’s not just about getting from point A to point B; it’s about pressing the pause button on the real world – the rinse-wash-repeat cycle of daily life – and exploring uncharted territory. This book beautifully captures the healing powers of the great American road trip. It’s a must-read for anyone who enjoys a good story about self-discovery, romance and adventure! 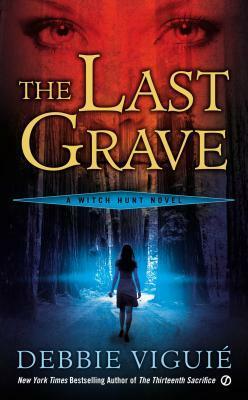 Next up is The Last Grave by Debbie Vigue. This book has been sitting on my nightstand for far too long and I’m dying to crack it open! It’s a murder mystery set in San Francisco that revolves around a displaced witch/detective who’s dealing with a heavy-duty identity crisis. Oh and did I mention that she has a magical pet named Freaky Kitty? This book is totally going to rock – I just know it! What’s on your reading list? Leave a comment and tell me all about it! 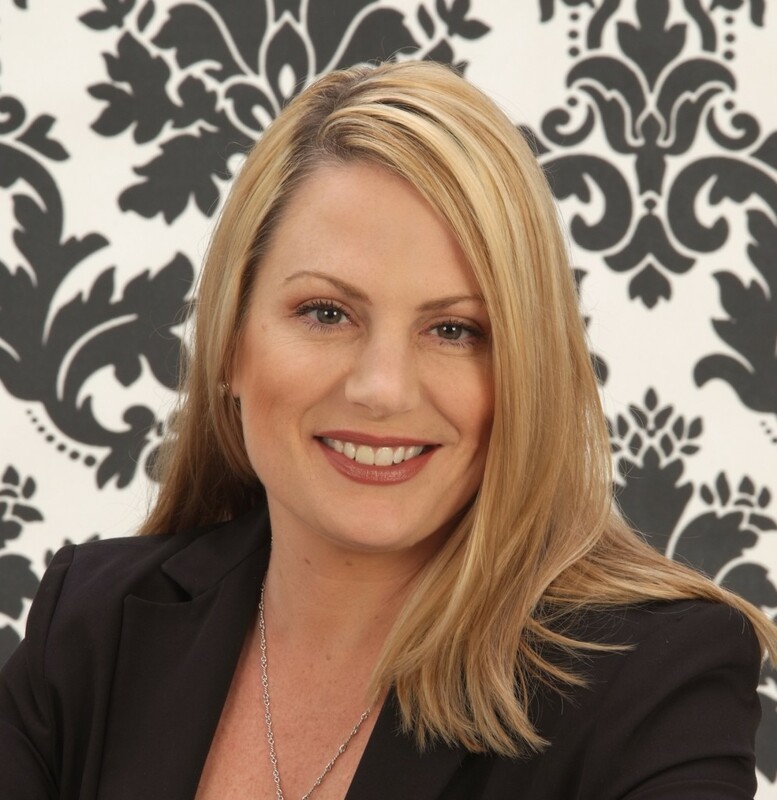 Fellow chick lit lovers, I am pleased to bring you a Q&A with one of my most favorite women’s fiction writers, Lauren Clark! Not too long ago, she broke into the publishing world with her debut novel, Stay Tuned – and I’ve been a fan ever since. Read on to learn more about her latest novel, Stardust Summer. I have a feeling I’m going to need a box of tissues for this one! What compelled you to write a story about a young mother reconnecting with her estranged father? And how can women readers identify with her struggles? The story is really about Grace losing her father. It’s about her coming to grips with never having the chance to reconnect. I’ve had close friends not speak to parents for years or known a sibling that shut out another sibling over a misunderstanding. I wanted to explore the shock of a life that’s taken away suddenly. Grace’s life was steady and predictable until then. I don’t think she would have grown up and faced her fears without some sort of terrible situation to shake up her same-every-day existence. What was the most interesting thing you had to research for Stardust Summer? I’ve always loved Garrett Chapel, where Grace’s mother holds Henry Mason’s funeral service. It’s a rustic, gothic-style stone chapel built in the woods on Keuka Lake’s Bluff Point. The structure was built in memory of a young boy, Charles Garrett, who died from Tuberculosis in 1929. Garrett Chapel is still used today as a seasonal church and a popular setting for weddings and special events. I’ve been to the chapel several times with my family and it’s even more lovely than the photographs. Tell me a little bit about the East Coast setting – and how it evokes your own childhood memories. It’s the place where my family has vacationed since I was five years old. It’s gorgeous, with glacier-carved mountains, and a deep, cold lake full of fish and clean, clear water. I remember ALWAYS being the first one of the kids (there are 3 of us) to jump in the lake, no matter how cold it was outside or the temperature of the water. There was no TV, only radio, and we always ate outside, dining on whatever the Mennonite farmers put out on their stands—corn on the cob, fresh peppers, beans, and strawberries. I think, for me, the setting conjures up a time of innocence and purity of mind—a place where life was simple and love and beauty was everywhere I looked. Who was your favorite character to develop while writing Stardust Summer? I actually enjoyed developing Ryan’s character. I’ve worked with a lot of physicians and many of my family members and close friends are in the medical profession. I wanted to show the dedication that many doctors have for their field of work, and how that career (and many others) has the potential to destroy marriages and families. Luckily, Ryan was able to recognize that he contributed to Lori leaving and grew as a result of that loss. When Grace stepped into his life, he was finally ready. Now, a little more about you! 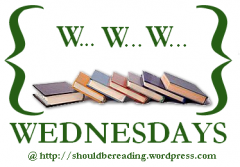 What made you decide to write women’s fiction? And what do you love most about this particular genre? I love being whisked away to a place I’ve never visited. I believe that it’s a wonderful feat when an author can describe a setting in just enough detail that I can fill in the colors, sights, and sounds in my head. I do prefer stories with a bit of humor, and those that have a character with flaws who does grow and change as a result of a big catastrophe or problem that changes everything in her life. I adore a little flirtation and romance—the anticipation of that first kiss is so delicious. Do you have a writing routine? What is your average writing day like? I am such a morning person. I love the quiet and peacefulness, and always make a huge cup of flavored coffee. I do my best work at the local college. They have an amazing library with expansive windows that look over Mobile’s landscape and, in the distance, downtown city buildings. There’s a lot of green space around the cottage and the vibe is full of energy. It’s a happy place. I’m always fascinated by how authors can churn out multiple books in a short time span. How do you manage your writing time between Stardust Summer and your forthcoming Pie Girls? I have some personal challenges in my life right now, so I made the decision to put Pie Girls on hold for a few months. Laura Pepper Wu had read Stardust Summer about a year ago, and suggested that with some changes—mostly in terms of Grace’s character development— the book would be ready to publish. I actually wrote the novel about seven years ago, so it was one of my first manuscripts. (So in terms of the short time span, it’s only one dog year, right??). It was a bit of a gamble, because I didn’t know if readers would embrace the storyline like they seemed to in Dancing Naked in Dixie. After two months of hard work, though, I was pleased with the revisions. In the end, it was cathartic to release Stardust Summer. With the rest of my life in a bit of turmoil, it was a positive task that I was able to focus on. There’s nothing better than hitting that “upload” key!! And last, but not least, how do you spend your “free” time when you’re not writing? I went to the movies last night with about a dozen people—so fun—and we sit in the back row of the theater for $5.00 Tuesdays! This morning, I am actually running off to yoga class in about five minutes. I am meeting a close group of friends for lunch to celebrate a birthday, and then, this afternoon, have a meeting regarding a fundraiser for one of the local hospitals. It’s a Festival of Flowers event, and our job is to make Dancing Naked in Dixie into a visual display for the “Seeds of Wisdom” part of the charity event. I like to be home by 3:30 in the afternoon to see my children. I’m big on making dinner at home, even if it’s just burgers or tacos. And of course, at night, before I fall asleep, I love to read. I’m halfway through John Green’s fabulous novel, The Fault in Our Stars. 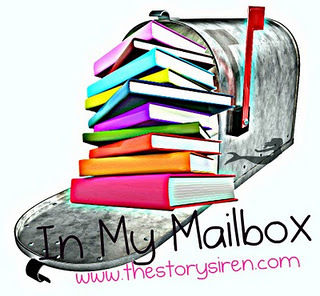 Thank you so much for having me on Chick Lit Cafe, Jessica! 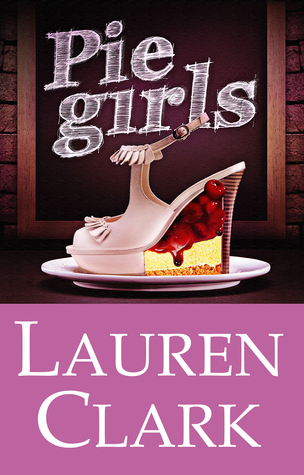 Be sure to check out Lauren’s blog for more about her writing life. Go here for my review of Stay Tuned. And go here for my review on Dancing Naked in Dixie. 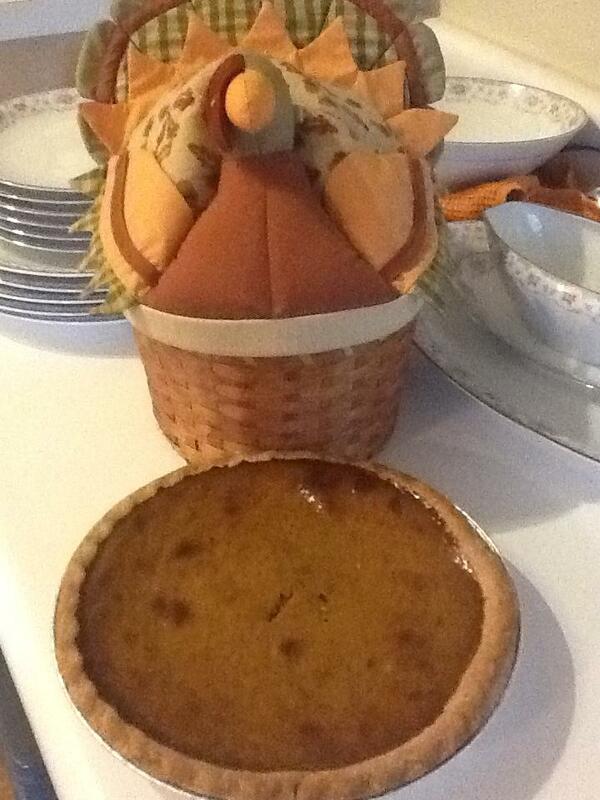 On this blessed day of thanks, I’m grateful for family, friends, good books – and most importantly – PIE! 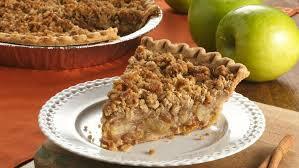 Oh how I love me some warm, gooey, scrumpdiliumptious pie. Nothing beats the down-home goodness of a freshly baked pie. From the sugar-ensconced fluffy meringue toppings to the rich, decadent chocolate cream fillings – these delicious dishes evoke some of my fondest childhood memories. In honor of America’s most iconic dessert, here is a little taste of two pie-themed books. 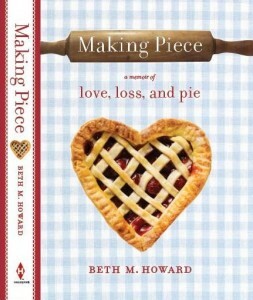 In Making Piece: A Memoir of Love, Loss and Pie, Beth Howard shares how her lifelong love of pie helped her get through the pain of bereavement. After her husband’s untimely death, she seeks refuge in the art and craft of pie baking. With some help from good friends and her own inner strength, she sets forth on a cross-country pie-baking documentary project in her husband’s Winnebago. Filled with a multitude of pie analogies, this book is both heart-warming and gut-wrenching. Like a big hunk of chocolate cream pie, this journey of self-discovery will stick to your ribs long after you devour it. Go to her website to read all about her book, pie-baking tips, and her American Gothic house. I should also mention an upcoming book by one of my most favorite chick lit authors, Lauren Clark. In Pie Girls, a spoiled Southern Belle must return to her hometown and rebuild her life after it all falls apart in the big city. Somehow she finds herself involved in a Pie Lab, which is based off of a real restaurant that offers job training for high school dropouts and people in need of vocational skills. Sounds like a tasty read to me! Go to her blog for a sneak preview. Now if you’ll excuse me, I’m going to sneak a bite out of my delicious pumpkin pie while my husband isn’t looking! I’m sure our guests won’t notice that tiny little dent…right? How cool would it be to make a living as a travel writer? Jet-setting to lavish bucket list-worthy destinations on the company’s dime sure sounds like a dream come true. But then again, how could you make a life for yourself if you never really have a place to call home? What if white sandy beaches, poolside cocktails and cute cabana boys all just became another part of the daily grind? Hmm…maybe Samantha Brown’s life isn’t all champagne and roses after all. For Julia Sullivan, the leading lady in Dancing Naked in Dixie, the frenetic life of a travel writer is the perfect escape from reality. 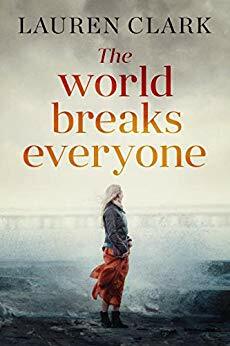 Shattered by her mother’s death, she distracts herself by flitting from one country to the next and putting together generic stories at the last minute. With nothing to come home to, except an empty Manhattan apartment and a workaholic boyfriend, Julia’s fast-pace lifestyle is the perfect distraction from her empty life. After turning in another flat travel story, the new editor in chief gives her one last chance to write a solid piece. But rather than sending her to an exotic resort as originally planned, he’s reassigning her to Eufaula, Alabama. To make matters worse, the new head honcho just so happens to be Julia’s estranged father. Ouch! Like your typical city slicker, she scoffs at the idea of writing a glossy magazine story about a podunk country town. In fact, she’d rather dance naked that travel to Alabama! Home of antebellum mansions, super-sweet tea and Southern belles, Eufaula is a far cry from the bustling streets of Manhattan. But just the thought of slowing down and smelling the roses sends Julia into a tizzy. Without a rigid schedule of spa treatments, scuba diving and five-star dining, she might have to finally stand still and be alone with her thoughts. Despite her misgivings, she soon finds herself enveloped in a colorful world of fragrant magnolia trees, quirky townsfolk and stately historic mansions. And after meeting the charming locals – including a most handsome town historian – her plans to write a quick and dirty story soon fall to the wayside. Little did she know, her story takes second seat to the drama unfolding around Phase Three, a development plan put in motion by some shady dealings with the city council. But it’s not just the local politics that keep her from rushing back to New York. Somehow she managed to get attached to her handsome tour guide and his quirky family. Heck, she’s even growing fond of the flamboyant B&B owner, Roger, who never lets her slip out the door without a gabfest. Unlike any other travel adventure, this is the first time Julia really connects with her surroundings. And for the first time since her mother’s death, she’s starting to feel whole again. How is she ever going to return to her jet-setting lifestyle after leaving a big piece of her heart in Eufaula? You’ll have to read the book to find out. Trust me, fellow Southern fiction fans, it’s worth your while! I was really impressed by Lauren’s debut novel Stay Tuned but this one really stole my heart. Many readers, myself included, will undoubtedly connect with Julia’s endearing personality. Despite her flaws, she’s compassionate toward others and truly cares about the fate of a small town that’s far removed from her own life in Manhattan. What I love most about this book is the balance of heartache and humor. To quote the great Truvy Jones (Steal Magnolia fans, you know who I’m talking about!) laughter through tears is my favorite emotion. 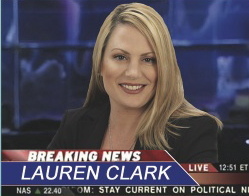 And Lauren Clark does a fine job of tickling my funny bone while tugging at my heartstrings. 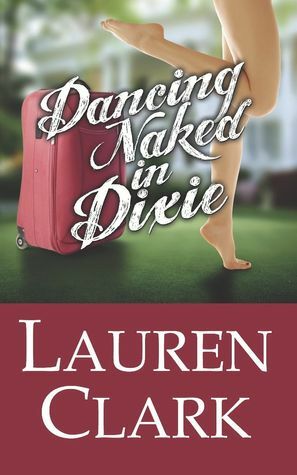 If you aren’t already a Lauren Clark fan, Dancing Naked in Dixie will help draw you into her fold. Without further ado, I am pleased to present a Q&A with the mastermind behind this fun and frothy story of self-discovery, Lauren Clark. Welcome Lauren! What do you love most about being a writer? I do love connecting with readers just after a book has been released. There’s so much excitement and worry about how the story will be received. With Dixie, I’ve been so amazed with the warm reception and readers embracing the characters right away! I actually held off on committing to come to Eufaula for a book signing until a few people there had read it and LIKED it . They’ve invited me August 2nd to Shorter Mansion , so that’s a good sign! I read on your blog that Eufaula is a real small town in Alabama. Why did you choose to set your story in this particular Southern hamlet? I used to live about a half-hour from Eufaula, and one of my favorite ways to spend an afternoon was to drive up to Eufaula, have lunch and walk around the historic district. I attended several of the Pilgrimages, one at dusk when the streets light up with candles and everyone is in old-fashioned dress. It’s so lovely, like stepping back in time two hundred years. You did a fabulous job describing the sights, the sounds and the people of Eufaula. It’s almost as though the town is a character itself! Why is it important to pay close attention to the setting in a story? I think that readers like to explore a place they’ve never been or might never visit. I think that it’s the author’s job to provide enough setting details to make it seem real and come alive. Too much detail, and it’s overwhelming; just enough and it doesn’t get in the way of the story. I actually poured over maps of the city and marked the different locations, then tacked it up on my wall so that I had the picture firmly in my mind of where Julia would go and what she would see! There are so many colorful characters in your book. If you could take one of them out to lunch, who would you choose and why? I love Roger. He’s so flamboyant, yet insecure at times. He’s the best friend you’d want to have in Eufaula – he knows everyone and everything that goes on. He’s the catastrophe manager; always the one who knows what to do and say in a crisis. What do you love about Southern living? There’s something about the way of life in the South that makes a person breathe a little deeper, sleep a little better, and enjoy the little things in life. The sky is blue almost every day, there are flowers blooming everywhere, and right now, the peaches are so ripe that you can smell summer right in the palm of your hand. What kind of research went into writing this book? Did you go on any pilgrimages in Eufaula or perhaps another charming small town? I did attend Pilgrimages in Eufaula, but have not had an opportunity to do so in other towns. It’s on my bucket list! While reading your book, I thought of that cute WB show “Hart of Dixie.” In terms of Southern culture, where does Hollywood go right? And where do they miss the mark? I think that Hollywood goes overboard when they cast characters from the Deep South as uneducated and not very bright. I’ve met so many wonderful, talented, and brilliant people since I moved to Alabama, I feel lucky to call them my friends. What’s the best piece of advice you can give to aspiring novelists? I have several: (1) It takes a lot of hard work to get that first manuscript done. My advice is to finish it, no matter how awful or flawed your story. My first novel will NEVER see the light of day, but I had to get through it to learn and improve. (2) Someone wise once said that you have to write a million words before you find your voice as an author. I have to admit – as much as I hate to – that it is true. (3) I read as much as I can about the craft of writing (three dozen books, at least) and listen to advice from authors who have been there in the trenches long before I picked up my laptop. (4) I read a lot of books – not just fiction – and not just in my favorite genre. I believe that it’s a great way to stimulate creativity and open your mind to possibilities. You never know where that next story idea might come from!!! I would love for readers to understand Julia’s journey. 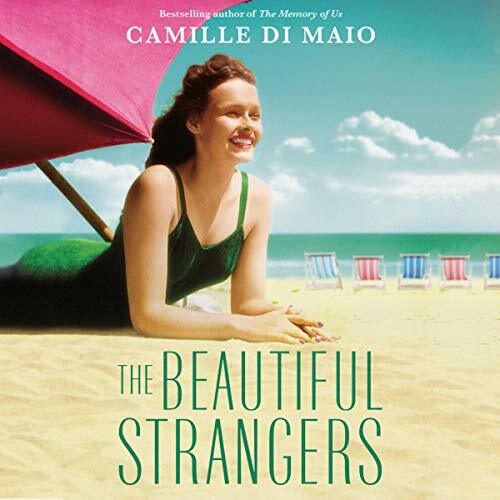 She has (as we all do) many preconceived notions about a place she’s never been and people who she’s never met. She’s not happy about visiting tiny Eufaula, Alabama. Yet, when she opens herself up to the possibilities, slows down, and takes in the beauty and love that she’s surrounded with, it changes her life. 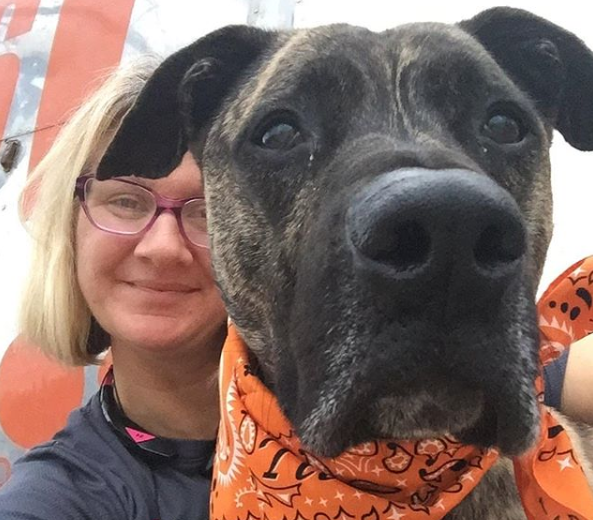 In a sentence, Dixie is about finding happiness in the most unexpected of places. Could you give me a sneak peek into your next book? Will there be more adventures in store for Julia Sullivan? 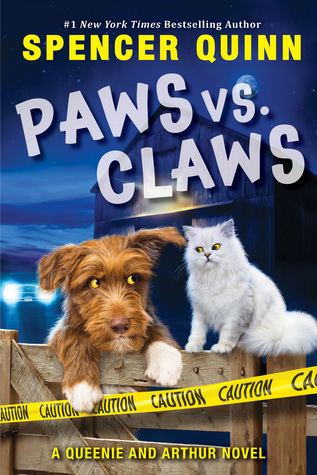 I’ve had so many readers ask if there will be a sequel!!! (Yay & Throws Confetti!!) I would love to catch up with Shug and Julia in the near future. I want to see what happens with their relationship, how Julia handles her new feelings, and whether she’s able to settle down in a small town. I grew to adore these characters – and feel like there’s so much more to explore with PD, David, Aubie, and even Mary Katherine. 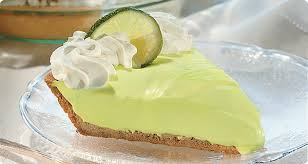 As far as my next project – I am researching for my next novel, The Pie Lab, which is a real restaurant in Greensboro, Alabama. This story will follow a girl who’s gone off to a big city (like Atlanta or New York) and vows NEVER to come home. She’s forced to return to Greensboro, though, when her romantic relationship falls apart. Since she’s burned a lot of bridges, it will be interesting to see how she makes amends. The Pie Lab, as a business, is a great concept, as it offers on-the-job training and the owners are very active in the community. Added bonus…the pies are delicious! 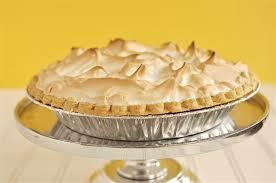 The Pie Lab has been featured in Southern Living and The New York Times. Thank you so very much for hosting me on your site. I am indebted to my readers and the wonderful bloggers like you who have supported Dixie. Thank YOU, Lauren! I also want to thank my pal Samantha over at Chick Lit Plus for making me a part of the blog tour. For more about this fabulous author, check out her website. You can also hear her discuss her new book on Sylvia Dickey Smith’s Writing Strong Women Blog Talk Radio Show! In my line of work, I spend a good chunk of my time at the local news station watching the morning anchors effortlessly chat with professors about their research on live TV. It looks like a lot of fun, but sometimes I wonder how they can stay on point when they’re feeling down in the dumps. Isn’t it amazing that these people can slap on a smile and look like a million bucks every day of the week? 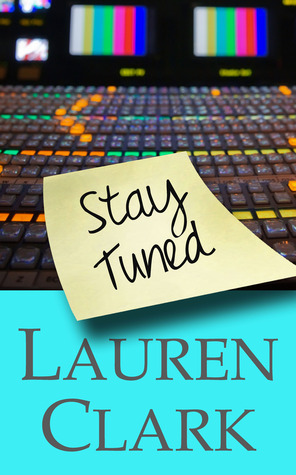 So when Lauren Clark, a former news anchor and producer, contacted me about her debut novel Stay Tuned, I couldn’t wait to get a peek inside the fascinating world of broadcast journalism. Just when life couldn’t get more hectic, two longtime anchors get fired after a fistfight breaks out on the ten o’ clock news. Unwilling to let WSGA go down on her watch, Melissa slaps on a coat of lipstick and wraps up the last remaining minutes of the evening news. Little did she know, her demanding boss liked her performance and decided to make her fill in as the evening news anchor until the next hotshot diva comes along. With a shabby wardrobe and no on-camera experience, Melissa is overwhelmed to say the least. And when she tries to seek encouragement from her husband, his only concern is whether she can still pick up his dress shirts at the dry cleaners. What the hell?!?! I have to say, I got really pissed off at this up-tight workaholic throughout most of the book. How could he ignore his wife when she’s clearly drowning in her work? How could he leave her those crappy Post-it notes instead of picking up the phone or actually talking to her in person? I really enjoyed the part when Melissa took her husband’s credit card and bought herself some much-needed ensembles. With her mousy hair and ill-fitting mom jeans, I figured she’d encounter a “Pretty Woman” dilemma at the high-end boutique. But lucky for her, the shop girl instantly took her under her wing and hooked her up with a whole new wardrobe. I don’t want to give too much away, so I’m just going to say that this chance encounter led to a something truly great at the end of the book. 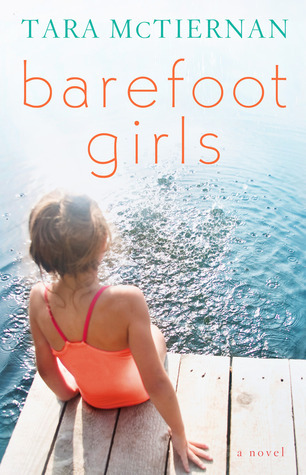 There’s a lot of sisterhood bonding in this book, which I really love. No matter what, Melissa’s best friend was there to offer support and encouragement. 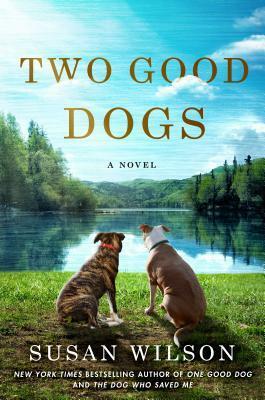 And with a mother suffering the ravages of Alzheimer’s disease, a daughter off to college and a husband who just doesn’t seem to give a flip, she needs her best friend more than ever. This first-time author has a real knack for character development, which in my opinion is the mark of a gifted writer. I was instantly enamored by Melissa’s good-hearted personality. Even when her husband acts like a total rat, she fights the urge to jump into an affair with her mega-hot co-anchor. And rather than focusing on sensationalized headlines, she takes advantage of the limelight by promoting social good. Wouldn’t it be great if all newscasters had pure intentions? There certainly wouldn’t be anymore headlines about Kim Kardashian creeping into our morning news shows. That, my friends, would be a beautiful thing. I do have one bone to pick with the author. My shins are killing me and it’s all her fault! I like to read during my morning workouts, and when I reached the last couple of chapters, I couldn’t put the book down. Before I knew it, I burned more than 800 calories on the bike! Overall, this is an emotionally powerful story chock-full of real characters, real issues, and real thrills. 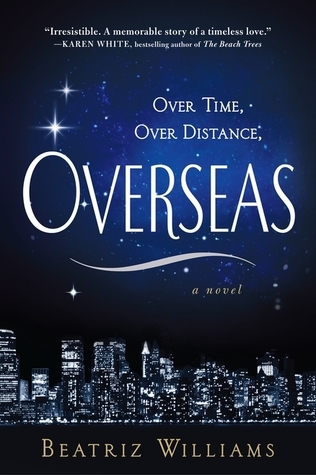 Fans of Kristin Hannah, Jennifer Weiner and Ann Brashares are sure to enjoy this one. I look forward to reading her next novel, Dancing Naked in Dixie! I used to love show and tell back when I was a kid, especially after Santa spoiled me rotten with oodles of Barbies, Cabbage Patch Kids and My Little Ponies. Now thanks to The Story Siren, I can show off all my shiny new goodies (OMG I got a Nook Color!) by taking part in this fun little meme. Basically this is an opportunity for book bloggers to spotlight all their new books and literary gadgets! For more details, check out The Story Siren. I’m not one to brag, but I think Santa kind of likes me! Now if you’ll excuse me, I have a ton of reading to do! Which one should I read first?